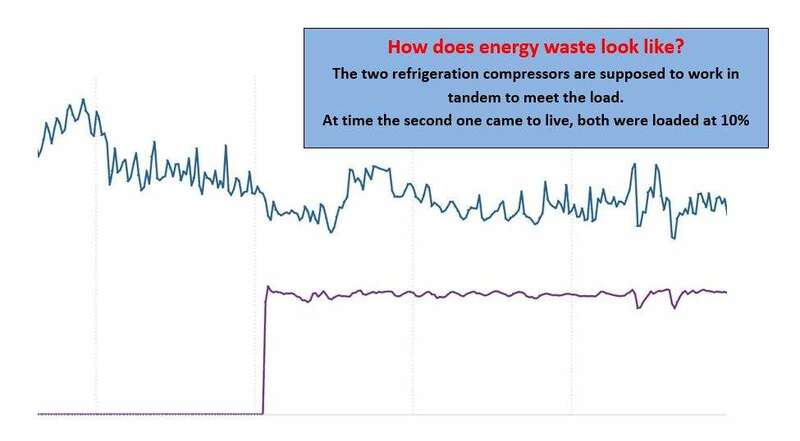 How does energy waste look like in industrial refrigeration? Home/Energy in refrigeration, Energy management, Energy management education/How does energy waste look like in industrial refrigeration? We continue industrial refrigeration optimization project aimed at energy consumption reduction without compromise of refrigeration capacity. At first stage we study the system. Study through direct observation and through analysis of directly measured energy consumption data on all parts of the refrigeration system – from compressors to condenser fans and pumps. This data in combination with production load and weather will be used to compile an energy consumption baseline. Without detailed continuous submetering we would not have seen that compressor sequencing at this plant is screwed. Compressors seem to have a free mind of their own: they come online when they feel fit – picture above shows how second compressor came online to help the first one … to do nothing. There were no measurable load to support at this time. Two compressors worked for several hours at 75% of their capacity with 10% load. Pure waste. Too bad their fantasies cost company real money. In this case compressors were wasting about $40 per hour. If this does not sound like much, recall how many people have to approve a $200 expense at your plant. In this case not a single person even knew this expense was incurred. Do you know if any of your compressors have mind of their own? How much does it cost you? Are you aiming at the right energy targets? Copyright 2017 GreenQ Partners Inc. All rights reserved. 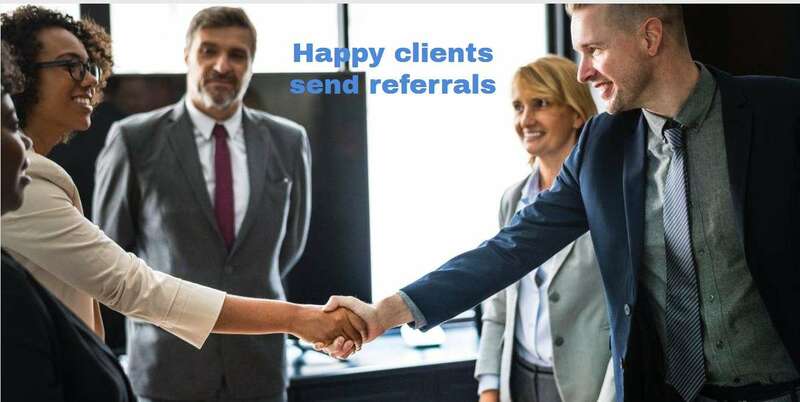 | [email protected] | 416-728-7239 | We respond to calls within 2h on business days.